You can set free shipping costs for certain products that you want to highlight. 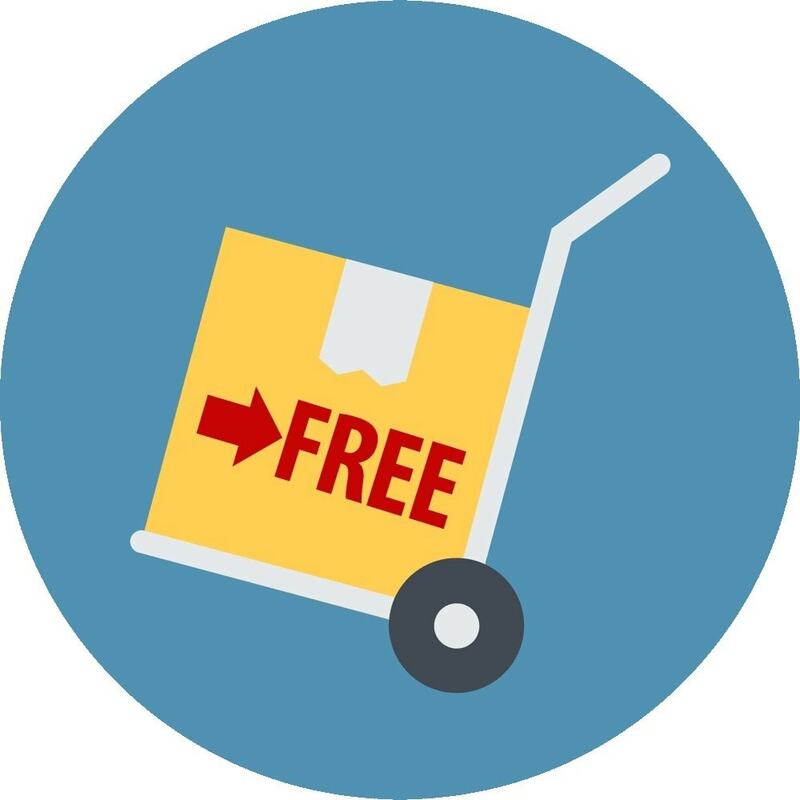 Optimize your profit margins by promoting and encouraging the sale of certain products with free shipping. How does Free Product Delivery Manager for PrestaShop work? 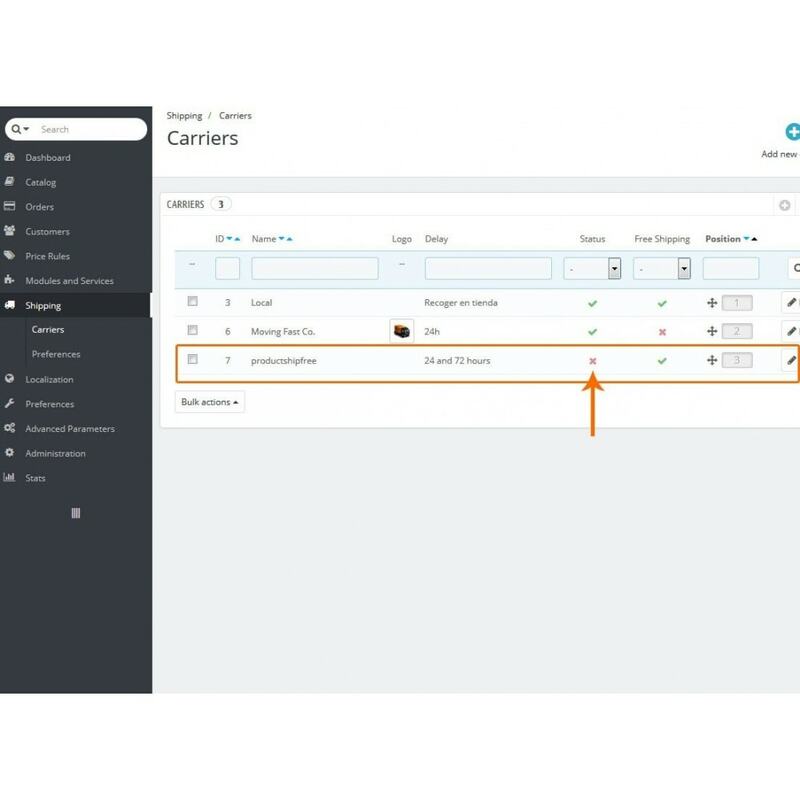 A free carrier is installed automatically, which is disabled so that it is not displayed in the store. Then, you can activate free shipping costs in the tab of each product in the "Free shipping by product" tab. Customers benefit from a tighter price on certain featured products. How do make estimates in PrestaShop? With this module you can generate a PDF or DOC document from any cart or order set in your store. 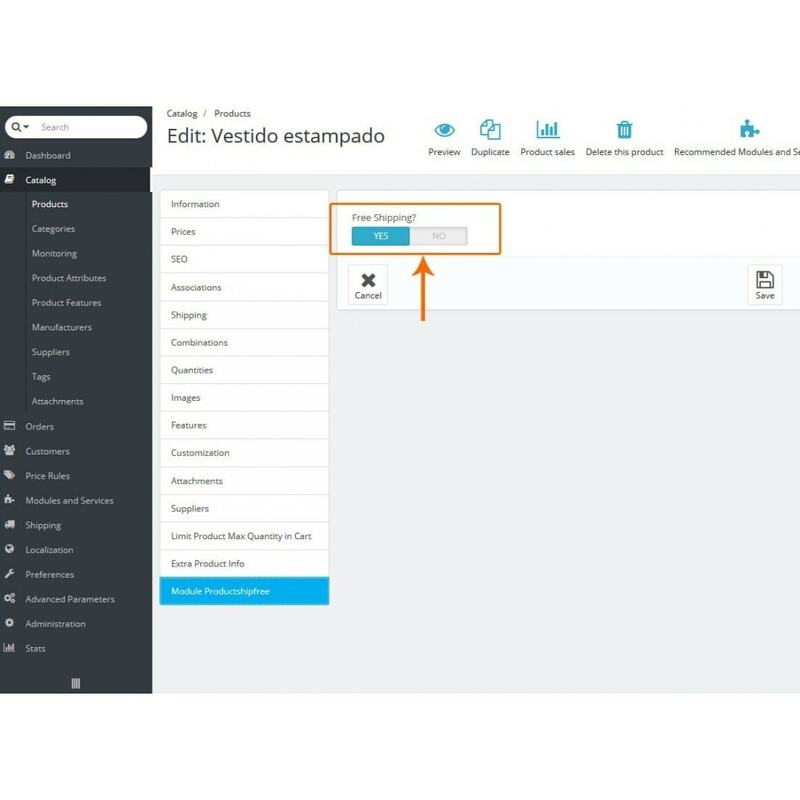 With this module you can hide products to specific groups of customers.